Engineer, entrepreneur, builder, leader: who are you picturing right now? Actually, these titles are held by several incredible collegiate women who have leadership roles on the Solar Decathlon 2017 teams. The U.S. Department of Energy Solar Decathlon is the world’s premier design-build competition, challenging students to create an energy efficient, solar-powered house that must perform in 10 contests during a nine-day public event. It’s also a real-world platform where women are proving that they are some of the brightest rising stars in science, technology, engineering, and math (STEM) fields, before they even graduate. In the United States, women remain underrepresented in STEM occupations, particularly women of color. This gender disparity begins in early education but often widens significantly at the undergraduate level. The U.S Department of Commerce cites representative role models, hands-on opportunities, and positive reinforcement as ways to combat the stereotypes that can serve as barriers. Enter, Solar Decathlon. It’s not uncommon for Solar Decathlon leaders to wear many hats, both within and outside of the competition. Annalise Miller, systems lead for the Washington State University team, chose to pursue a double major in mathematics and entrepreneurship to foster her various interests. 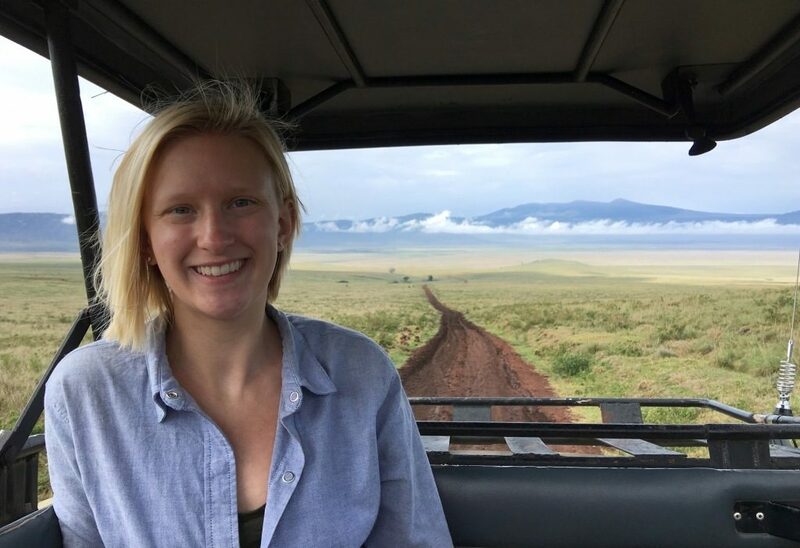 This interdisciplinary perspective led her and a partner to design a smart milk pasteurization thermometer targeted for use by the Maasai people of Tanzania. The effort has resulted in a provisional patent, its incorporation as an LLC, and the deployment of 60 thermometers to Tanzania this past May. Originally from Auburn, Washington, Annalise enjoys the creative opportunities of higher-level math and has been able to apply them as one of two women in a technical role on her team. Student entrepreneur Annalise Miller traveled to Tanzania, where she distributed her Kulé smart thermometers for pasteurization to rural families. Karla Lopez, health and safety officer for the Northwestern University team, is also a woman of wide academic interests. As an international studies and civil engineering double major, she hopes to bring a global perspective to her engineering endeavors to make the biggest positive impact. Originally from the Dominican Republic, she moved to Chicago in 2009. 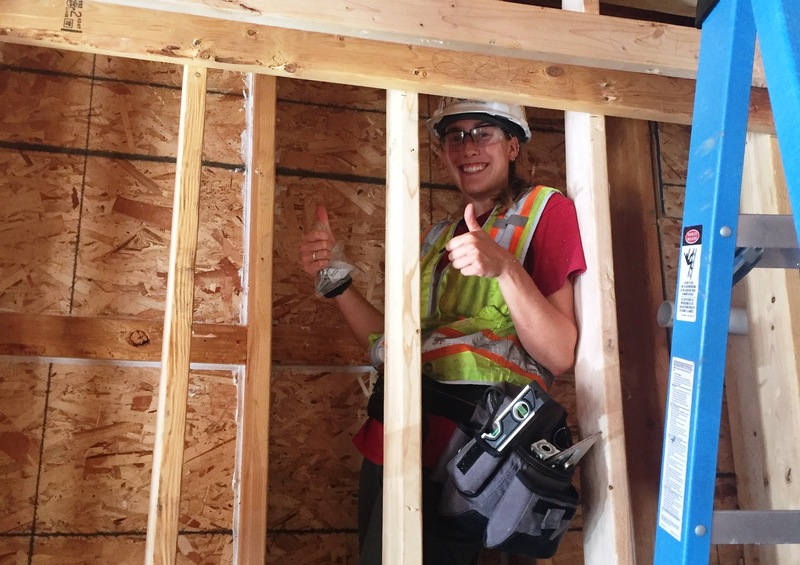 Prior to her involvement with Solar Decathlon, Karla was involved with Habitat for Humanity projects in the Chicago community, and has since applied her knowledge gained from Habitat to her leadership role on the team. When she’s not ensuring the safety of her fellow decathletes, she enjoys dancing salsa, bachata, and merengue. Joan Gibbons and Ruth McGee are acting as co-construction leads for the UC Berkeley/University of Denver team. Both civil engineering majors at UC Berkeley, these women are not only managing construction of the competition house, but also developing estimates, coordinating schedules, and maintaining a constant presence on site as co-leaders. Their dedication to the job necessitated a relocation to Denver for the summer. Joan, who is originally from Evanston, Illinois, is enjoying the opportunity Colorado presents for her love of hiking and interest in sustainability. Ruth, who’s originally from Menlo Park, California, was first exposed to the Solar Decathlon before even entering university. While in high school, her curiosity was piqued during an engineering open house at Santa Clara University where a previous Solar Decathlon house was on display. Though her leadership role on the team keeps her busy, she has also found time to design and teach a course on human trafficking, a topic she is passionate about, to fellow undergraduates. A passion for creating a sustainable future led Joan Gibbons to study civil engineering and city and regional planning at the University of California Berkeley. While all female decathletes share a willingness to try new things and persevere despite setbacks, perhaps no one embodies that spirit better than student project manager and PhD candidate, Jenna Beckwith. Originally from New Smyrna Beach, Florida, Jenna is currently working on her third engineering degree at Embry-Riddle Aeronautical University. That same determination drove her to convince school administrators to support Solar Decathlon 2017. Jenna formed a small group of students at Embry-Riddle, then recruited others from Daytona State College to join the project. Backed by these brilliant minds, Jenna was able to inspire her aeronautically focused university to embrace a student entry into the earth-based Solar Decathlon. When she has free time outside of her doctoral studies, Jenna enjoys cooking, baking, or taking advantage of the nearby ocean to surf. For the thousands of young girls and women that find inspiration in Solar Decathlon houses, these women aren’t just decathletes; they’re trailblazers, showing the many possibilities that clean energy and STEM can offer anyone. As someone who just finished a summer internship at the Energy Department, I have found inspiration in their incredible commitment to a brighter future. I can’t wait to personally meet them in a few months at Solar Decathlon 2017. This entry was posted on Thursday, August 10th, 2017 at 12:03 pm and is filed under Profiles, Solar Decathlon, Solar Decathlon 2017.